As an energy-efficient leader of its class, the ION reduces electricity usage and does not require routine replacement filters. 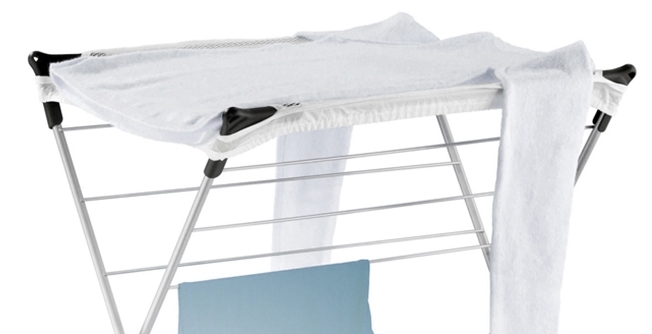 Designed for quiet operation, the ION is suitable for a bedroom or nursery. 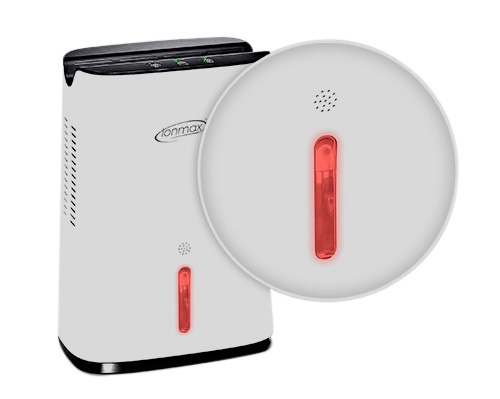 Its hands-free custom settings and automatic shut-off options reduce the need for constant monitoring. Dehumidifiers help counteract the harmful effects of long-term moisture in your home by removing water molecules from the air. By doing so, they prevent the growth of moulds and mildew in areas that may typically collect excess water, such as the laundry room, bathroom, or basement. Mould and mildew can destroy property value, cause unpleasant odours, and trigger health problems, which is why proper dehumidifying is important to protecting your home and family. Regular use of a dehumidifier can also help dry laundry more quickly and improve sleep quality—particularly in humid climates. 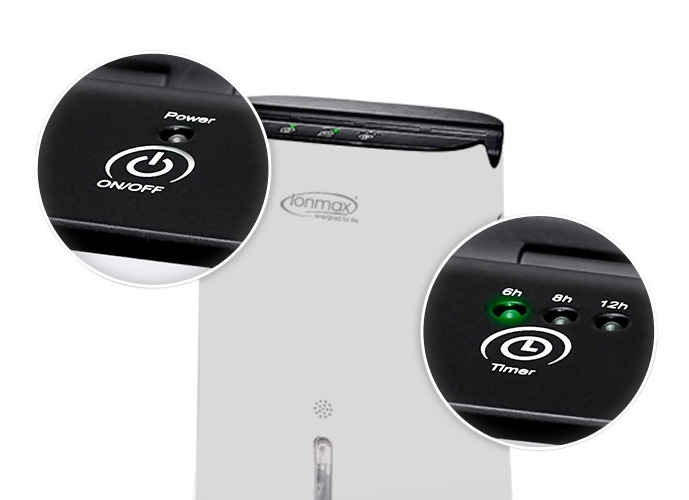 The ION 681 uses Thermoelectric Peltier technology to ensure top air quality regulation over long periods of time. This technology works best in warm rooms or warmer climates and works less efficiently in colder rooms during winter. Turn on the dehumidifier manually for regular ongoing operation, or set to automatic dehumidification for hands-free regulation. 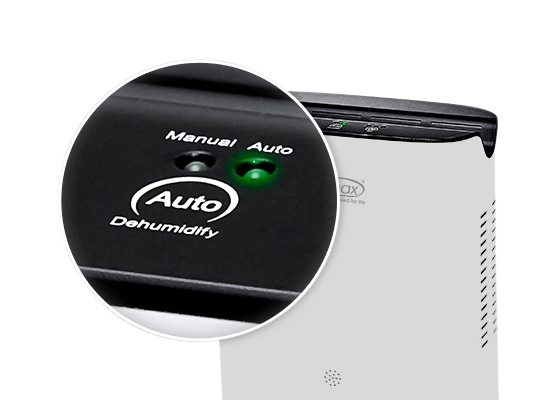 The integrated humidistat sensor is programmed to maintain a consistent level of humidity when the Auto button is pushed, and will only turn on when the relative humidity level is above 65%. 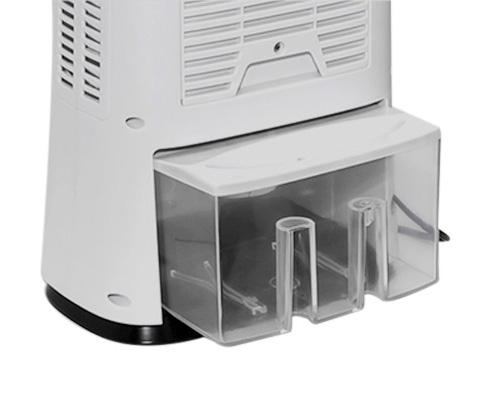 Conversely, the machine will shut off automatically when the humidity levels drop below 55%. This even balance helps produce an indoor atmosphere that is comfortable rather than dry or oversaturated. Lastly, the timer mode allows users to program automatic shut-off after 6, 8, or 12 hours to accommodate sleep or work schedules. Unified by a sleek lightweight design, the ION 681 is practical, compact, and easy to use. This Swiss innovation unites straightforward control buttons with easy-access filtration and water reservoirs to minimize the hassle of cleaning and maintenance. Its reusable filter catches larger particles and dust in order to boost air quality, and can be cleaned easily once every three months. The dual-grip water tank slides out of the rear and can hold up to 2.2 liters. It can also be used with a hose attached to the water tank for continuous drainage. The humidifier’s portable size and built-in handle allow for quick relocation and simple storage when not in use. The energy efficient design of the ION 681 reduces electricity usage and guarantees safety. As the leader in eco-friendly dehumidifiers of its class, the ION 681 runs on only 100 Watts of electricity—as much energy as a light bulb. The reusable air filter eliminates the need to purchase additional filters, effectively cutting down on waste and spending. To clean the air filter, simply remove the back panel and rinse or vacuum away any collected debris. As an added safety feature, the water tank sensor in the reservoir automatically shuts off the machine when full, which prevents overflow or damage. The dashboard will display a full tank warning, prompting users to empty the rear water collection tank. I purchased this model specifically to reduce high humidity in the bathroom and therefore combat the mould issues. It won’t remove mould but the mould won’t survive or be in a good environment for growth if humidity is removed from the equation. I liked the option of auto to leave the unit to work out when to rev up and remove humidity itself. Option of a timer could also be used but I leave mine going 24/7 on auto and it does the thinking for me - comes on for showers or in high humidity in Qld. The only other option I would consider for a dehumidifier would be one that also removes / filters mould spores but for now this model is doing a great job removing humidity. Works as stated... Unusual for products today. Use in subterranean retail storeroom. Suitable for a small room!